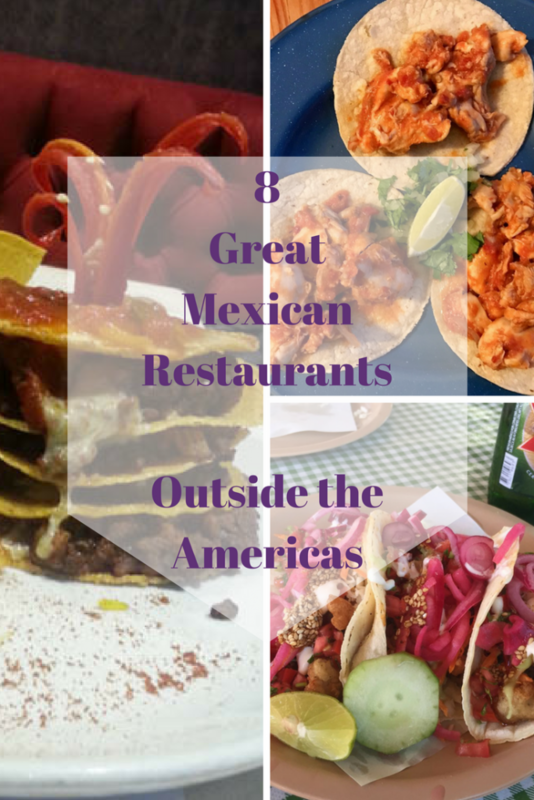 Finding great Mexican food outside of North, Central, and South America can be a bit of a challenge, one that many expats know all too well. The hunt for good Mexican food is one of the most important parts of a trip to a new city or country for me. It is such an important part in fact that I named my blog after it! 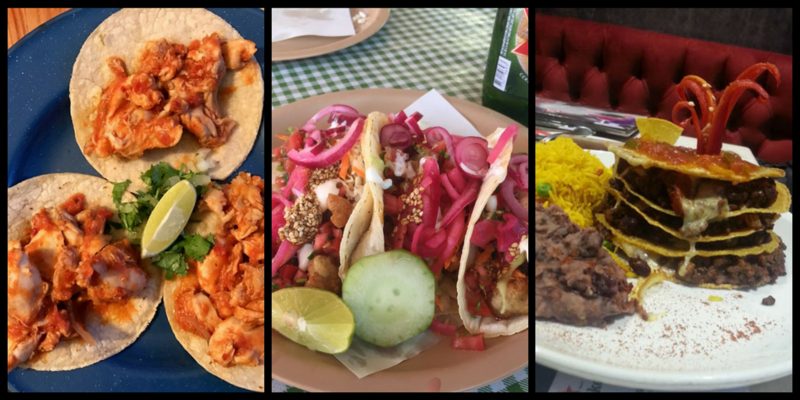 In honor of Cinco de Mayo, I asked fellow travel bloggers for their recommendations on where to find great Mexican food around the world. I also threw in a few of my favorites. I hope you aren’t hungry! Dublin has had a boom in the Mexican food scene in recent years, mostly in the form of burrito bars. El Patron is my favorite of them all. Their amazing burritos are incredibly filling and they have Jarritos! The location is also great for tourists and locals alike, just one road up from the only IMAX in Ireland. This makes it my favorite place to go before a late night movie. Another huge plus is that they don’t automatically put cilantro in anything. As someone who finds that cilantro tastes like soap, I think them for this! 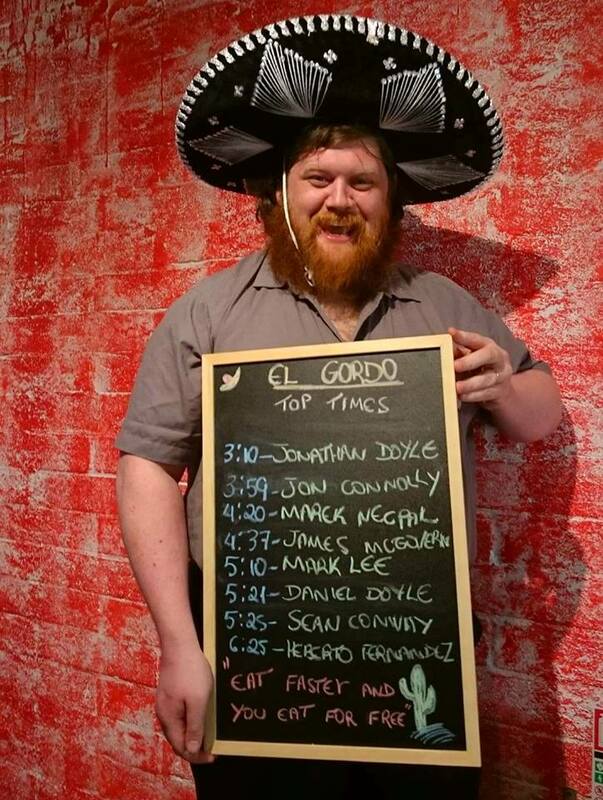 El Patron is also home to the El Gordo challenge, which my husband happens to be the current reigning champion of. Challenge his record if you dare. I would highly recommend La Tablita at the Hyatt Regency Creek Heights in Umm Hurair for Mexican food in Dubai. It has a very good fine dining feel to it, and the restaurant is simply stunning. Not only do they have amazing guacamole, they have the most amazing tacos! The mole with chilli chocolate & chicken is delicious. They also have an interesting beef tongue taco. Besides this, their tres leches is amazing. It’s a jalapeno ice cream with a vanilla sponge cake. Besides this, the waiters are also super dreamy, so plenty of eye candy. In the evenings, they have happy hours and play some really nice tunes which get people off their chairs and dancing. It has a really great vibe! Mexican food is one of my favorite cuisines, so when I moved to Freiburg, Germany I was disappointed to find really bad Mexican food. But now we live in Berlin, where there’s lots of international cuisine, and I’ve found my favorite fix. Santa Maria Eastside in Friedrichshain is delicious! They offer tacos, burritos, and quesadillas with several options like chicken, beef, or vegetarian. I always get the chicken tacos, which are actually spicy – Germans don’t do spicy, so this is special. The chicken is marinated in chilies, among other things. My husband usually gets a chicken quesadilla, and we split an order of chips and guacamole. Most Mexican restaurants in Germany don’t give out free chips and salsa, but I’ve made my peace with that. They have three types of salsa – a red one that I don’t think has much spice, a green one I adore for its flavor and spiciness, and a habanero one that definitely has a kick. Maria Eastside is small, so if you come on Taco Tuesday, it’s best to show up a little early. A high contender for the best Mexican food in Europe is La Cucaracha in Rome. It sits just outside the wall of the Vatican and is so delicious we ate there more than we ate any Italian food. While the exact dishes my husband and I had are lost to the sands of time the memory of the taste still manages to make my mouth water. This is a small restaurant with limited and cramped seating. This is the only restaurant I went to in Rome that I recommend to people. It really was that great. Be sure to make a reservation ahead of time. There’s really no guarantee that you’ll be able to get in otherwise. Touche Hombre in Melbourne’s CBD offers a fresh take on Mexican cuisine. You can sample one of their 100 tequilas while trying unique tacos that blend tradition with creativity. The casual cantina vibe with candles in wine bottles lit throughout the restaurant creates a funky atmosphere. You can choose the lovely fish tacos or beef brisket, but if you are feeling brave, be surprised by ordering “El Secreto”. 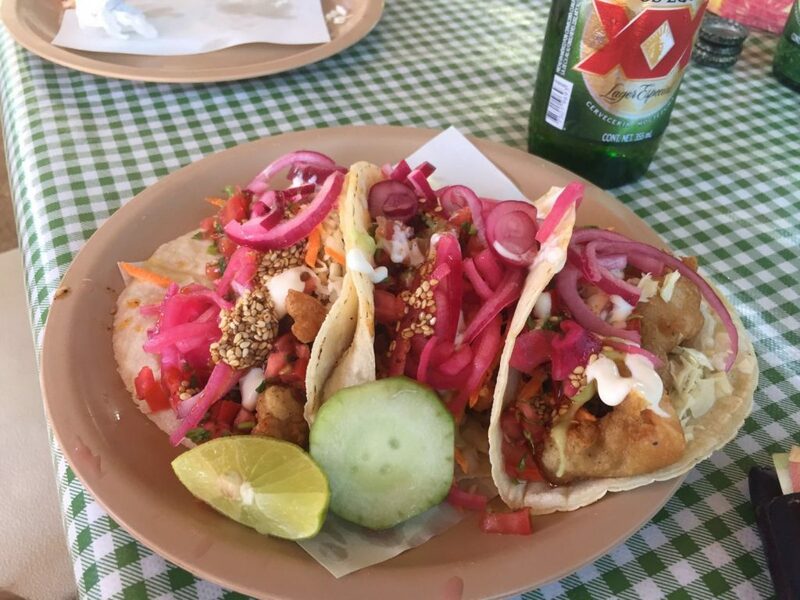 You will be rewarded with special tacos from the chef in a combination you have probably never tasted before. My husband enjoyed his secret tacos, even after it was revealed at the end that they were chicken hearts. If you aren’t feeling so adventurous, Touche Hombre offers delicious classics to tempt any palate. Before going to Viva Mexico I never really knew the pleasure of having hot Mexican food on a freezing winter day. The tortilla chips were freshly made and lightly salted. It was still early in the evening when we went but there was a small crowd gathered outside. I had an amazing chimichanga, my favorite Mexican food. Anytime a friend says they’re going to Edinburgh I recommend they stop by Viva Mexico. When I moved from the United States to the Netherlands, I was skeptical that I’d find Mexican food. As much as I LOVE Mexican food, the few Mexican places that I had tried in my first months in Amsterdam made me homesick and want to never try Mexican food in the Netherlands. I did some research and found a restaurant with reviews by my fellow homesick American expats raving about the food. I was skeptical, but Los Pilones has become my go-to Mexican place. It was founded by three Mexican brothers in 2001 and they now have three locations across Amsterdam. Their Mango margaritas are dangerously delicious and large. 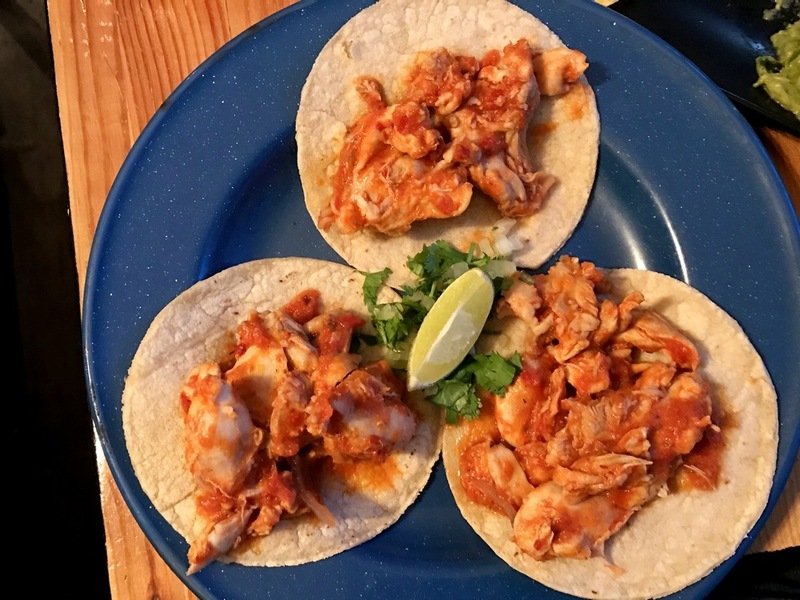 My favorite dish is the spicy Chicken Tinga, served with onions, chipotle peppers, oregano, chile de arbol, rice, beans, corn tortillas. I’ve also tried their flautas and tacos. If you’re in Amsterdam and craving Mexican food, come here! Malta has some amazing Mexican food weather. It’s warm and sunny which really is how Mexican food is meant to be experienced. 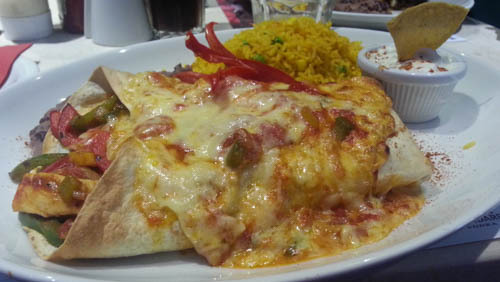 Tex Mex has a massive menu that I plan on exploring extensively next time we’re in Malta. We only went once this time, mostly because we got lazy, but the food was fantastic. It is a very American take on Mexican food, but I think that may be why I loved it so much. One thing to keep in mind though is that in Malta they love their strips of vegetables to be big and thick. This also holds true in Tex Mex. The restaurant is also a nightclub and a hotel! Check out a more detailed review of the restaurant here. Thank you to all the wonderful bloggers who helped out with this list! I can’t wait to go try out these places. Do you have any Mexican restaurants that you think I should go to? Leave them in the comments and they’ll appear in a future list!